As with so many other jazz greats, gospel music and the church would shape Nina Simone’s musical direction. She was difficult to work with at times, but her singing was always fifabulous; never afraid to try to do different things she stands alone as a unique voice in contemporary music. A committed supporter of Civil Rights she often wore her politics on her sleeve, which made her enemies, but her legions of fans forgave her when she played the piano and sang with such unadulterated passion. Simone was born Eunice Kathleen Waymon on 21 February 1933 in Tyron, North Carolina and her mother was a Methodist minister and her father a handyman and preacher, and Simone would play piano and organ in the church. She displayed a precocious talent for playing by ear when she was only three years old and received tuition in classical music – her favourites were J. S. Bach, Chopin, Brahms, Beethoven and Schubert. She passed out of high school top of her class and won a scholarship to the Juilliard School in New York. When her family moved to Philadelphia, Simone failed to get into the reputable Curtis Institute of Music, despite giving an outstanding audition. She suspected racial motives behind her rejection and the sabotage of her career as a classical pianist. Resorting to teaching music to help support her large family – she was one of eight children – she also performed popular songs in bars in Atlantic City, adopting her stage name, created from ‘Niña’ – a Hispanic boyfriend's pet name for her – and the surname of a French film star that she had seen on a poster. Word quickly spread about this amazing newcomer, mixing pop, jazz and blues with classical influences, and singing in a beautiful rich contralto, she soon began receiving a lot of attention. A recording of her performing made its way to Syd Nathan, and she was signed to Bethlehem Records, the jazz imprint of his King Records. In a single thirteen-hour session in December 1957, she recorded fourteen cuts, enough material for her debut record and subsequent releases. Her debut album, Little Girl Blue (1958) is an outstanding record. Besides her hit single, it includes one of her best-known tracks, “My Baby Just Cares For Me”, as well as her own “Central Park Blues”, which she made up in the studio and recorded in one take. 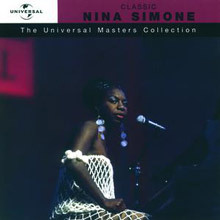 For Nina Simone, playing jazz and blues was only ever considered a stopgap until she could reignite her classical career and when she did find success as a popular performer it established an internal dichotomy, and an animosity towards the recording industry that has been suggested as partly responsible for her subsequent mental illness. Additional factors would include consternation at receiving no royalties under her first contract, and illegal release of her recordings, robbing her of dues worth millions of dollars. ‘You know, I made thirty-five albums and they bootlegged seventy! Oh, everybody took a chunk of me’, she would complain to her audience at the Montreux Jazz Festival in 1976. Her paranoia was exacerbated by advancing schizophrenia and her behaviour could be extreme at times, arriving late for concerts and then refusing to play until there was silence – ‘I expect and deserve respect’ – or simply shouting ‘Shut up!’ in heated arguments with her audience. Leaving Bethlehem Records as soon as it was possible, Simone signed with Colpix in 1959, staying with them until 1964, and when making an active decision to dedicate her art to a worthwhile cause – the civil rights movement – she signed with Philips Records. 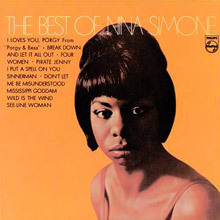 Her first release was Nina Simone In Concert (1964), which includes songs specifically about civil rights, in particular “Old Jim Crow” and the astounding “Mississippi Goddam”. 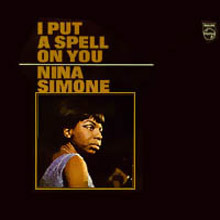 In 1994, Simone had a hit in the UK with “Feeling Good” following its use in a VW commercial on television; it is taken from I Put A Spell On You (1965). Her period with Phillips was a productive one, and following Polygram being acquired by Universal her records have been released by Verve. 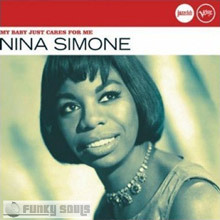 Simone would introduce more civil rights material into her performances, such as the anthemic “To Be Young, Gifted, And Black”. Disillusioned with racism in the United States, Simone left in 1970, living first in Barbados, then Liberia, Switzerland, Paris, the Netherlands and finally, the South of France. Simone received three honorary degrees, the last one from the Curtis Institute, the school that had rejected her half a century before, awarded only two days before her death from breast cancer. One of her most pop-oriented albums, but also one of her best and most consistent. Most of the songs feature dramatic, swinging large-band orchestration, with the accent on the brass and strings. Simone didn't write any of the material, turning to popular European songsmiths Charles Aznavour, Jacques Brel, and Anthony Newley, as well as her husband, Andy Stroud, and her guitarist, Rudy Stevenson, for bluesier fare. Really fine tunes and interpretations, on which Simone gives an edge to the potentially fey pop songs, taking a sudden (but not uncharacteristic) break for a straight jazz instrumental with "Blues on Purpose." The title track, a jazzy string ballad version of the Screamin' Jay Hawkins classic, gave the Beatles the inspiration for the phrasing on the bridge of "Michelle." This LP has been combined with the 1964 In Concert album on a CD reissue. This budget-priced compilation issued via Verve's Jazz Club imprint spotlights Nina Simone's mid-'60s stint with the Philips label, the creative tipping point of the singer's storied career. Expanding the grammar of jazz by introducing elements of folk, soul, and pop, at Philips Simone redefined both her music and her place in music, making forever obsolete the stereotypes that long straitjacketed the role of women in American popular art. For the most part, My Baby Just Cares for Me eschews Simone's most fiery political statements in favor of more intimate and idiosyncratic work -- listeners seeking a truly comprehensive portrait are recommended the excellent Four Women: The Complete Nina Simone Philips Recordings, but this single-disc overview hits many of the high points, including "Old Jim Crow," "Work Song," and "Feeling Good." 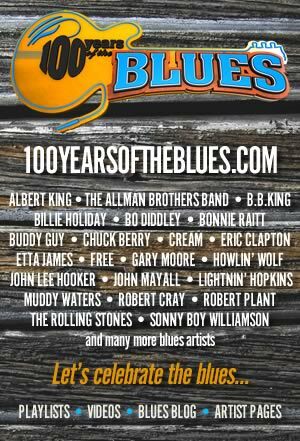 If this is blues, it's blues in the Billie Holiday sense, not the Muddy Waters one. 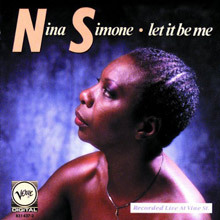 This is one of Nina Simone's more subdued mid-'60s LPs, putting the emphasis on her piano rather than band arrangements. It's rather slanted toward torch-blues ballads like "Strange Fruit," "Trouble In Mind," Billie Holiday's own composition "Tell Me More and More and Then Some," and "Nobody Knows You When You're Down and Out." Simone's then-husband, Andy Stroud, wrote "Be My Husband," an effective adaptation of a traditional blues chant. By far the most impressive track is her frantic ten-minute rendition of the traditional "Sinnerman," an explosive tour de force that dwarfs everything else on the album. 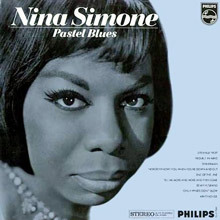 Pastel Blues has been combined with the 1966 LP Let It Out onto a single-disc CD reissue. An artist whose music spans the boundaries of jazz, blues, R&B, and gospel, Nina Simone has earned a reputation as one of the most gifted, passionate, and distinctive vocalists of her generation. The Best of Nina Simone is a collection that brings together 12 selections she recorded during her tenure with the Phillips label in the 1960s. Songs include "I Put a Spell on You," "Pirate Jenny," "Sinnerman," "Don't Let Me Be Misunderstood," and eight others. In 1991, these two excellent Nina Simone albums from the mid-'60s (Nina Simone in Concert and I Put a Spell on You) were combined on a single compact disc. 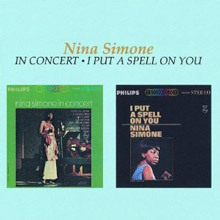 in Concert is probably the most personal album that Simone issued during her stay on Philips in the mid-'60s. On most of her studio sessions, she worked with orchestration that either enhanced her material tastefully or smothered her, and she tackled an astonishingly wide range of material that, while admirably eclectic, made for uneven listening. Here, the singer and pianist is backed by a spare, jazzy quartet, and some of the songs rank among her most socially conscious declarations of African-American pride: "Old Jim Crow," "Pirate Jenny," "Go Limp," and, especially, "Mississippi Goddam" were some of the most forthright musical reflections of the Civil Rights movement to be found at the time. In a more traditional vein, she also reprises her hit "I Loves You, Porgy" and the jazz ballad "Don't Smoke in Bed." I Put a Spell on You is one of her most pop-oriented albums, but also one of her best and most consistent. Most of the songs feature dramatic, swinging large-band orchestration, with the accent on the brass and strings. Simone didn't write any of the material, turning to popular European songsmiths Charles Aznavour, Jacques Brel, and Anthony Newley, as well as her husband, Andy Stroud, and her guitarist, Rudy Stevenson, for bluesier fare. Really fine tunes and interpretations, on which Simone gives an edge to the potentially fey pop songs, taking a sudden (but not uncharacteristic) break for a straight jazz instrumental with "Blues on Purpose." The title track, a jazzy string ballad version of the Screamin' Jay Hawkins classic, gave the Beatles the inspiration for the phrasing on the bridge of "Michelle." 2009 installment in this series, entitled Classic... The Masters Collection. Each release features hits, album tracks and fan favorites from the artist's beloved catalog. This compilation series certainly lives up to it's title, for this music is truly Classic! This collection from the Jazz great features 15 tracks including 'Sinnerman', 'I Put A Spell On You, 'Strange Fruit' and more. Nina Simone's live performances have a power and an intimacy all their own, and those qualities stand out in this 1987 recording from Vine Street. It's a stunning form of cabaret singing, dramatic without melodrama, and with roots that reach to Billie Holiday's surprising success with "Strange Fruit." Simone can add profundity to a usually carefree song like "My Baby Just Cares for Me," and the range of the performance broadens with the startling "Be My Husband," a simple pattern reduced to the naked force of a field holler, and the stark hymn "Balm in Gilead." Carefully chosen songs from Randy Newman, Bob Dylan, and Janis Ian achieve new dimensions in Simone's treatments. Her own deeply felt "Four Women" and "Mississippi Goddam" are potent and enduring protests. There's some effectively spare accompaniment from guitar, bass, and drums, but Simone's piano is the essential instrumental voice, from slow barrelhouse to Bach. 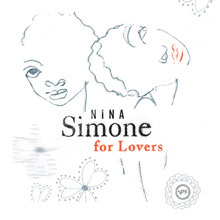 This second of two Nina Simone compilations issued in 2005 (and third in two years), For Lovers focuses on Simone's crucial tenure on the Verve imprint. It's not a thorough examination of her career by any stretch, but it does feature what many consider to be ideal performances of two of her most well-known songs: "I Loves You, Porgy" and "Black Is the Color of My True Love's Hair." Fans of Simone's work will already have many of these recordings courtesy of other records, but casual listeners wanting to hear the softer side of this revolutionary jazz chanteuse will find this an excellent place to start, and will want to dig deeper into her rich back catalog. 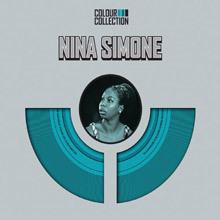 Colour Collection album for sale by Nina Simone was released Oct 30, 2007 on the Spectrum label. Import only installment in the popular Colour Collection series issued through Universal International. Each of the titles in this series is packaged in a Colour Collection branded die-cut digipak which exposes it's unique color. Colour Collection buy CD music This collection features 15 of the Jazz vocalist's finest including 'Sinnerman', 'I Loves You Porgy' and 'I Put A Spell On You'. Spectrum.2007. . Colour Collection CD music contains a single disc with 15 songs. The sequel to Nina Simone's Verve Jazz Masters, Vol. 17, Verve Jazz Masters, Vol. 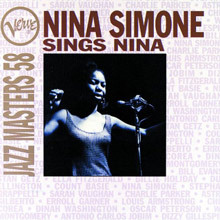 58: Nina Simone Sings Nina features a selection of Simone's original songs, as well as her adaptations of jazz standards. Though jazz purists will find the sampler nature of this compilation a big maddening, the compilation nevertheless is useful for casual fans and neophytes, hitting many of her best-known songs, inlcuding "Sugar in My Bowl" and "The Last Rose of Summer."